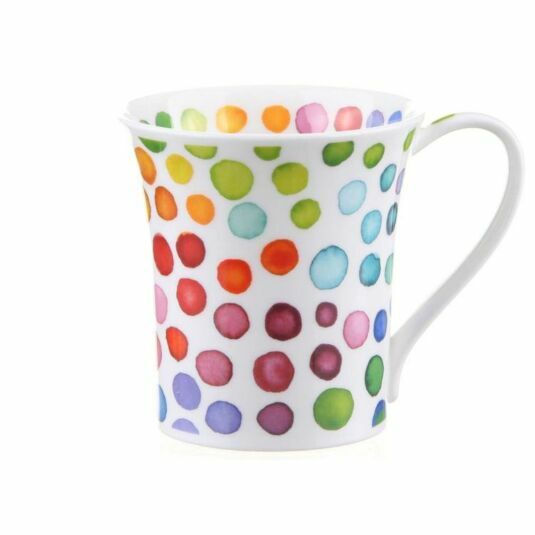 The Hot Spots design from artist Caroline Bessey shape offers a vibrant collection of multicoloured dots painted in a watercolour style. 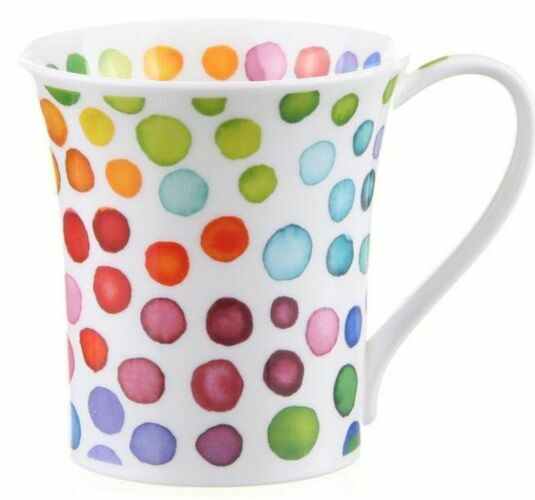 Dunoon have introduced this new sophisticated and smaller size mug to their fine bone china collection. This stylish new shape suits most of Dunoon's contemporary patterns whilst giving a fresh look to their more traditional florals. With a capacity of 210ml, all designs are both dishwasher and microwave safe, with the exception of those featuring gold embellishment.